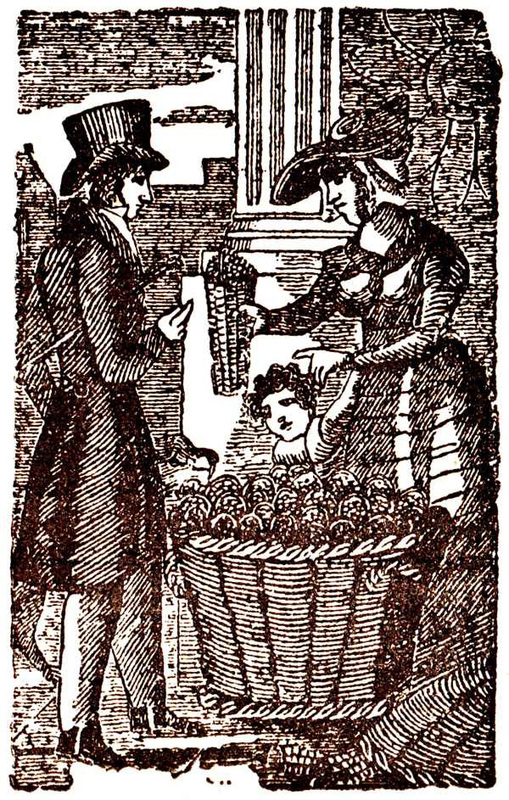 Picking the berries - "Most of the Strawberries consumed in London are grown within ten miles of it … the end of May, the women who gather the fruit, assemble in the Strawberry-garden, in the morning, as soon as it is light, which at that time of year is between three and four o'clock, and commence plucking the fruit. 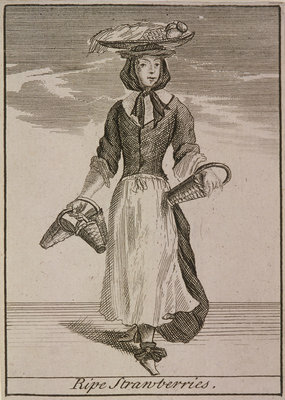 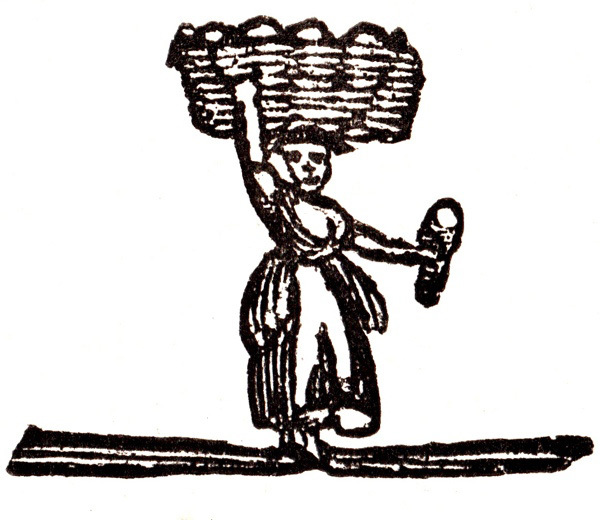 …taken to the packing-room and carefully put in pottle-baskets; fifty or sixty of these are placed in a large basket,"
The women rapidly walk, sometimes run, to the city with their 'head-loads'. 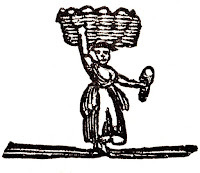 "When men occasionally carry the fruit, they have a shoulder-knot, similar to those used by porters, so that part of the weight rests on the shoulder, and part on the head, but by this mode of conveyance the fruit is generally more injured than when carried by women." 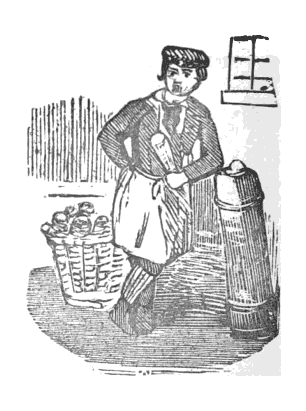 By 1834 carts with 'very pliable springs' pulled by fast horses, but again, the fruit is injured. 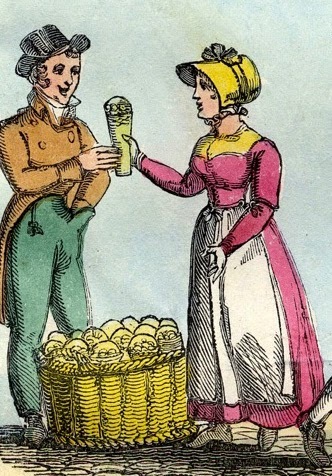 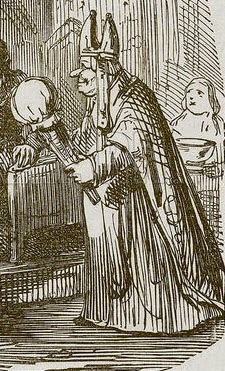 "Brought fresh gathered to the markets in the height of their season, both morning and afternoon, they are sold in pottles containing something less than a quart each. 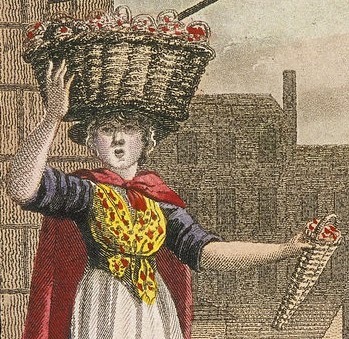 Great numbers of men and women are employed in crying strawberries during their season through the streets of London at sixpence per pottle." 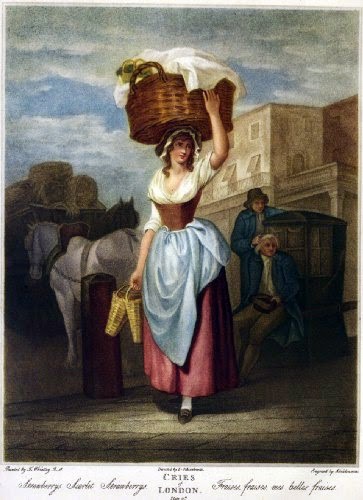 Picking Mulberries by Thomas Rowlandson (1756-1827) [Yale] Filling pottle baskets. 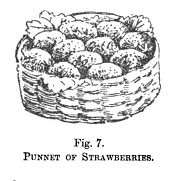 Recipe using pottle as measurement. 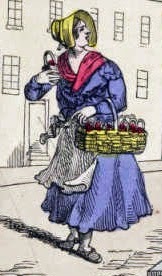 "Pick the stalks from two pottles of scarlet strawberries, put these into a basin, and then pour one pint of clarified boiling syrup and half a pint of red currant juice on to them; cover them down with a sheet of paper, tightly twisted round the edges of the basin, and allow the infusion to stand in a cool place until it becomes cold; then, filter it through a beaver jelly bag in the usual way, and when the whole has run through perfectly bright, mix it with two ounces of clarified isinglass, and set the jelly in a mould, immersed in rough ice. 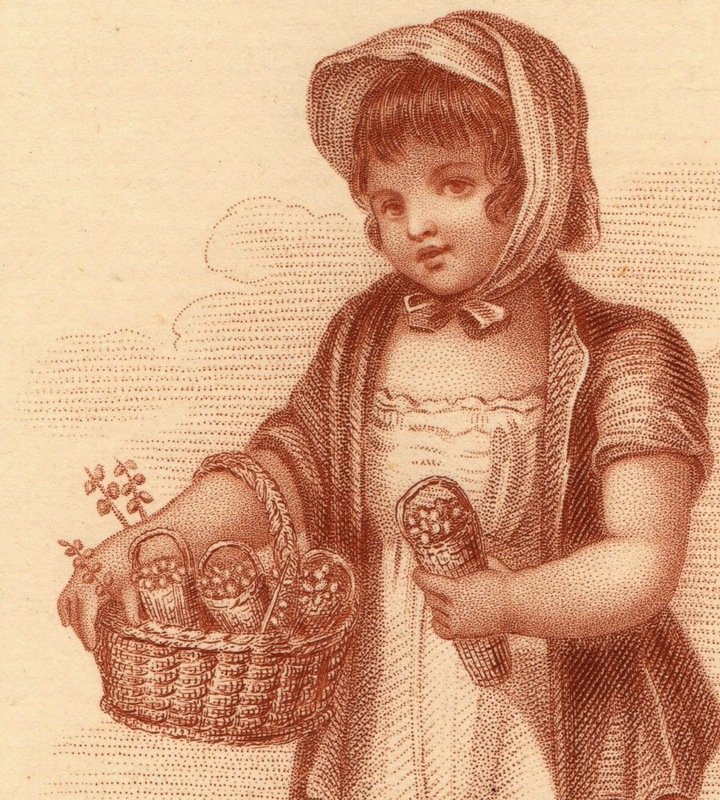 Note.—This jelly should be garnished with a pottle of fine "British Queen'' strawberries."